Banyules wildlife corridors are critical for our native fauna to survive and thrive, yet due to urban pressures many are disappearing unnoticed. Sugar gliders are a keystone species that will help us map our remaining wildlife corridors. This project records glider occupancy in specially designed, strategically placed nesting boxes. The boxes will be made by the Eltham men’s shed and professionally installed in reserves, schools and gardens. Trained residents perhaps yourself, will check their occupancy regularly and document the findings. Findings will inform a corridor strategy for the Banyule area that Banyule Council and conservation groups can use to protect, maintain and enhance corridors. This project invites residents to become stewards for wild life. Not only can you join a monitoring group you could host a 'nest box' tree home for gliders in your garden. There are 300 new nest boxes to be placed. Imagine seeing sugar gilders emerge from their home at dusk, gilding past you to their supper. 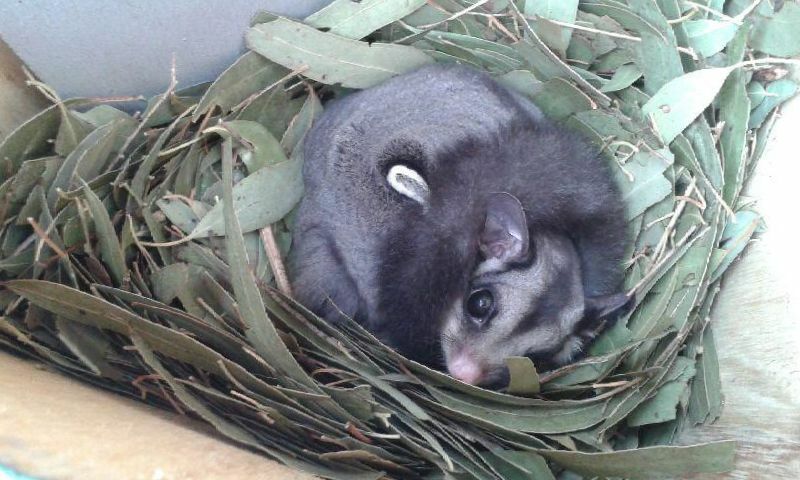 Sugar Gliders in Montmorency – the story. When I first moved to Montmorency I built a native garden and then waited for the little birds; the pardalotes, the little blue wren etc. I had a back yard ready for all of them. They never came. Long term residents told me that many native birds, and plants they had known had decreased in numbers and then just disappeared. Urban development, predators such as cats and the four major roads surrounding Monty were the cause. Link to birds that had disappeared. Myself and another conservationist Pam organised a native garden competition with funds from council to help connect with other potential conservationists and build awareness of the plants and birdlife we had remaining. A guest speaker Richard Francis told us about sugar gliders and the role they played as a keystone species, one that could help us map our remaining wildlife corridors. We were hooked. The Montmorency Sugar Glider Project. • To re-establish our sugar glider population. • To engage the local community in becoming wildlife stewards. With special maps from council and input from Richard we learnt how to identify potential corridors. Specially designed nest boxes made by the local men’s shed were strategically installed in reserves and residents’ gardens. Interested residents took on climbing at heights. Regular inspections were made to check for occupation of the boxes. When we started we didn’t know if Monty still had gliders so it was truly` a wow moment’ when we found a glider in a box at Olympic reserve. By 2018 we had installed more than 100 boxes. Regular monitoring has shown a steady increase in our glider population with a minimum of 40 counted at our census in July 2018. Our glider population is very low but increasing slowly.